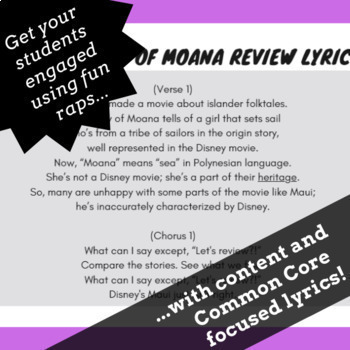 Would you like to keep your students engaged using pop-culture and history rap songs? Then these summer school themed reading activities are just for you! 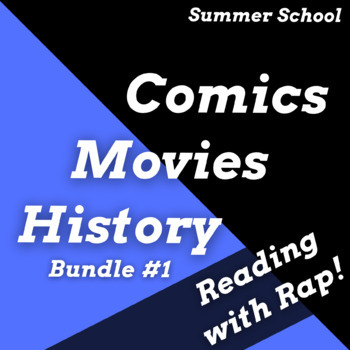 These summer school reading activities and passages are based on our history and reading rap songs. 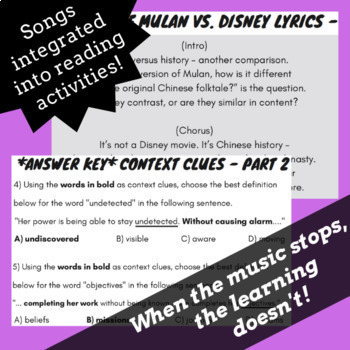 These songs teach important reading skills while incorporating superheroes and Disney movies as topics. These activities reinforce critical reading skills in a way that connects and engages with students. Summer should be fun - let's help you keep it that way! - a "Syllables on Beast Mode!" challenge activity where students will find a rare 5 syllable word in the song lyrics and write it correctly separated into its syllabic parts. the superhero, nonfiction vs. fiction activity includes a context clues activity. Download this bundle now and get ready to have an awesome summer with your students! Click here to follow our store for updates! Get a custom-made song for free! Rap Opera for Kids Bundles! Copyright © 2019 Rap Opera for Kids. All rights reserved by author. This product is to be used by the original downloader only. Copying for more than one teacher, classroom, department, school, or school system is prohibited. This product may not be distributed or displayed digitally for public view. Failure to comply is a copyright infringement and a violation of the Digital Millennium Copyright Act (DMCA). Images and elements found in this PDF are copyrighted and cannot be extracted and used outside of this file without permission or license. Intended for classroom and personal use ONLY.